Nozawa Onsen is one of the classic ski resorts in Japan that has expanded over a 70 year period into one of the largest ski areas in the country servicing more than 50 kilometres of trails. 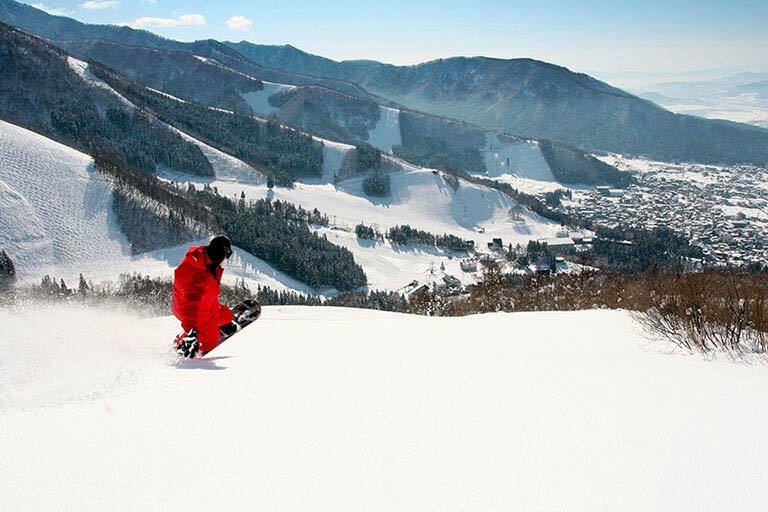 Nozawa ranks amongst one of the best ski resorts in Japan with an excellent course layout and great selection of runs offering great skiing and snowboarding experiences for beginners right through to the most advanced. From the top of Nozawa Onsen breathtaking panoramic views of the surrounding national parks and the Japan Alps are to be had. Nozawa is a small village of 4000 people so you can walk everywhere easily. There is also shuttle bus that loops around the village and takes you up to Nagasaka gondola if needed. 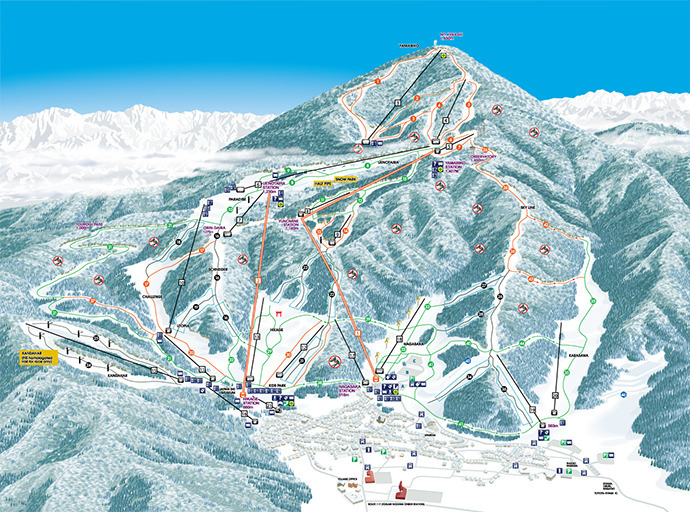 However you can mostly ski or board from your accommodation, it is only about 100 meters from the lifts or slopes. The village has a great sense of tradition and feeling of Japanese spirit with beautiful old streets and a bustling village full of history, culture and festivals. The village is also famous for its public hot-springs, with more than 30 springs located throughout the resort. On January 15th of every year one of the most famous fire festivals in Japan is held in Nozawa Onsen which is truly an amazing experience.